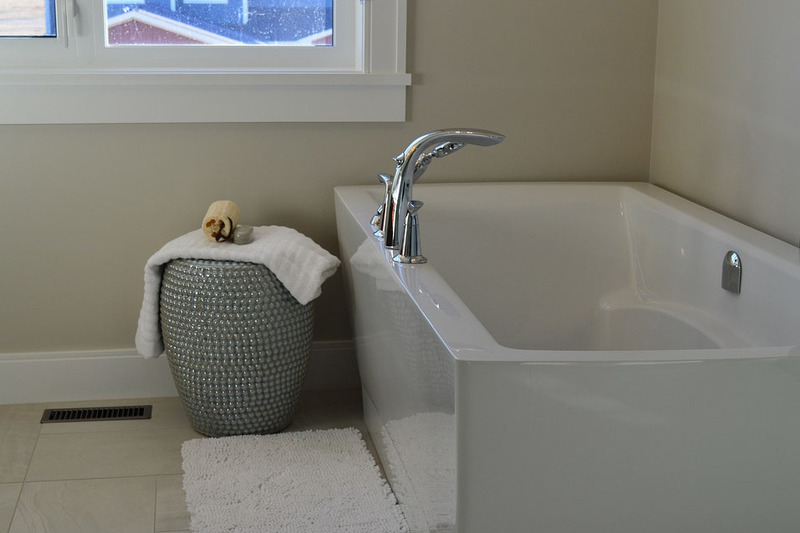 5 Simple DIY Bathroom Renovations That Instantly Increase the Value of Your Home — Jostar Interiors Ltd.
Increasing the value of your home is always a good idea, especially if you’re planning to put it up for sale sometime soon. One area of the home that particularly benefits from a little extra TLC is your bathroom. We put together a list of five simple DIY renovations that can get your bathroom looking great without spending a fortune. Take a look at our list below, then roll up your sleeves and get ready to increase that number on your home’s price tag! One of the simplest renovations that can be done in any home is giving the walls a fresh coat of paint. Painted bathroom walls are often affected by steam and water within the space. Giving your walls some new paint will immediately erase any marks of wear-and-tear. Feeling adventurous? Try using wallpaper as a feature on one of the walls. Floral prints are having a major moment right now and would add exceptional style to your home’s bathroom. Changing an entire vanity in a bathroom is a major home renovation that many of us often can’t afford to make. An easy (and much more affordable) option is to switch your old faucets and cupboard handles with something new. Try to choose coordinating hardware throughout the space so that you create a seamless look. Bathrooms typically get overlooked when it comes to lighting, so this is your chance to make your bathroom light fixtures stand out from the rest! If you’re lucky to have high ceilings in your bathroom, consider adding a small chandelier to the space for an unexpected and eye-catching effect. There are so many options on the market right now for wall-mounted lighting – everything from traditional, to urban, to rustic, so take some time to look around for inspiration. Everyone looks in the mirror in a bathroom. This fact alone should make it an area to focus on. Add some interest to your vanity space by replacing that plain, rectangular mirror with one that has more character. Think: framed mirrors, mirrors with an unexpected shape, or even a mirror framed with lights for a glamour approach. Don’t underestimate how big of a difference something like swapping out your old shower curtain can make. A shower curtain is such a big piece of material in a relatively small space, so a chic, new curtain with decorative hooks can instantly update the room. Replacing your bath mat, adding new hand towels, and inserting a few coordinating accessories into the space can all make your bathroom look a little more attractive.